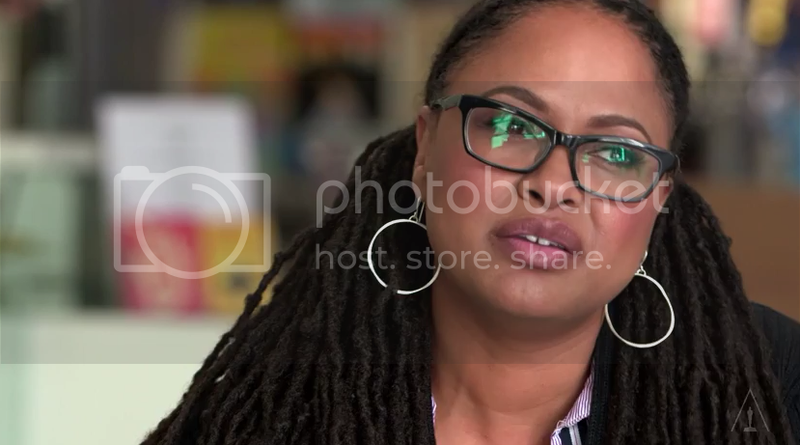 Ava Duvernay has directed two critically-acclaimed films, I Will Follow (2011) and Middle of Nowhere (2012). She's the first Black woman to receive the Best Director award at the Sundance Film Festival. She explains how she finds inspiration for her creative work. It's interesting to talk to creative people about how their minds work. Sometimes it sounds kind of freaky. When you're a creative person and you're nurturing that within yourself, you open yourself to a lot of discovery that comes from unexpected places which is really wonderful. I mean for me the writing process is very much about when I have a really, really good idea of what I'm writing I need to have notes, a good outine, thought it through, have some dialogue, like really be clear about what I'm doing and all that comes from being out in the world. My films are low budget independent films very specifically focused around communities of color, people of color and families of color and finding the universality in the specificity of those stories. When you're making a low budget film--a film for $50,000 or $200,000 there's nowhere to hide. It's usually people talking or not talking ,but you're on these spaces you're on behavior and you really have to be able to understand that and that comes from living being a black woman walking around it comes from observing people. it comes from asking questions, so I find that I gotta get out. You gotta be around people. and in Los Angeles it's such a sprawl it's such a huge space. In downtown you can actually rub shoulders with people. You can actually see faces that are not behind a car window. The best thing is when you see people and you're wondering what's their story. Sometimes i'll even ask, and people want to talk.